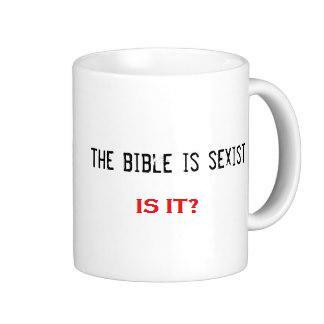 The Bible is Sexist – or Is It? Bible believers are viewed as unenlightened simpletons who blindly hold on to archaic ideas that stifle the progress of society. One of those areas of outdated belief is on the subject of gender equality. Our accusers say that the Bible is sexist and that Christianity cannot be taken seriously because its followers hold to an old-fashioned idea that women, at best, are naturally inferior to men and, at the worst, mere chattel – the property of their husbands. a) Just because some nut job interprets the Bible as teaching that women are to be the property of their husbands doesn’t mean the Bible is sexist. You have to allow for a few wing-nuts who take the scripture out of context and build a doctrine around their error, start propagating the message, amass a following of mushy brained cult-ites who follow their nefarious leader to some remote area of South America, drink Kool-Aid and wake up to find themselves in heaven with 100 servant concubines. Citing believers on the fringe (or out in the stratosphere) as proof doesn’t make Christianity a patriarchal conspiracy. b) The Bible narrative was written by an estimated 32 people from different countries/empires over a period of about 1,400 years covering 3,600 years of human history. The writers came from many different backgrounds: a country preacher, a court orator, kings, fishermen, a teacher, a tax collector, farmers. They wrote about people and cultures that did not extend equal social advantages to women, but that doesn’t mean that the message of the Bible is sexist. The overarching ethos of the Bible story is not one of effecting social change but one of bringing spiritual renewal. c) I recently had a woman say to me that the church has attempted to hold women down for centuries. While it certainly is the case that women have been discriminated against by religion, the Bible itself deserves closer examination on the subject. The poor treatment of women by the men of history in the name of religion does not mean that the Bible is sexist. So, what might a closer examination of scripture reveal. As we get into this, please remember the context in which the New Testament narrative is set. Cultural attitudes prevailed among the Jews of Judea as well as throughout the Roman Empire which gave men the upper hand. 1. Jesus had female disciples. At first glance this might not sound significant, but given the prevalent culture at the time, the idea of women being thought worthy of receiving theological instruction from a rabbi was outside the boundaries of the cultural norm of the day. It’s important to realize that being counted among the disciples of a teacher meant that you were being groomed to carry the message of that teacher. Jesus is defying convention here. Add to that the fact that a number of the many female disciples of the Lord supported the ministry financially (Luke 8:1-3) – a purely male privilege. It put these women on more equal footing with their male counterparts. a. Martha’s sister Mary is considered worthy of the rabbi’s instruction when we are told that she “sat at the feet of” Jesus (Luke 10:39) and engaged the Lord in theological study. This is the same terminology used by Paul to describe his tutelage at the feet of the great Jewish teacher, Gamaliel (Acts 22:3). It is to Mary that Jesus reveals His divinity in a very special way. After she agrees that she’ll see her dead brother again in the resurrection. Jesus responds by saying, “I AM the resurrection.” He then raised Lazarus from the dead. b. The first person to whom Jesus revealed His true identity was the Samaritan woman at the well (John 4:25-26) when He told her that He was the Messiah. To see the prevailing attitude of the day, all you have to do is read about the discussion Jesus had with this woman. The disciples were surprised, no amazed, that Jesus would stop to talk to a woman. 3. Jesus portrays God in parables and in illustrative imagery in feminine form – as a woman searching for a lost coin (Luke 15:8-9)and as a mother hen describing how often He would have taken the children of Israel under His wing. a. Pricilla and Aquilla (Acts 18:24-26), a husband and wife teaching team, taught the scripture “more perfectly” to Apollos, a famous and eloquent preacher. The interesting fact here is that when named in the Bible, Pricilla is mentioned first as if to punctuate the fact that she had a very real and integral role in the ministry of her and her husband. b. Paul introduces Phoebe as “a” or possibly “the” deacon of the church at Cenchreae (Romans 16:1-2). She is described as being prostatis over many – a word that, in Greek literature, means leader, ruler, protector or president. c. Phillip had four daughters that were prophets in the church (Acts 21:9). A prophet is a very visible and important part of the ministry of the local church who is called upon, either by sermon or by unction, to deliver instruction, encouragement or correction to the congregation. 5. A woman may have been an Apostle of the early church. Apostles and prophets form the very foundation of the church (Ephesians 2:20) and they were the core of its leadership. The Apostle Paul includes a bunch of personal greetings while closing his letter to the church in Rome. One of these greetings is to two people he says are, “outstanding among the apostles” – Andronicus and Junias. (Romans 16:7) There is strong evidence that Junias was a woman. 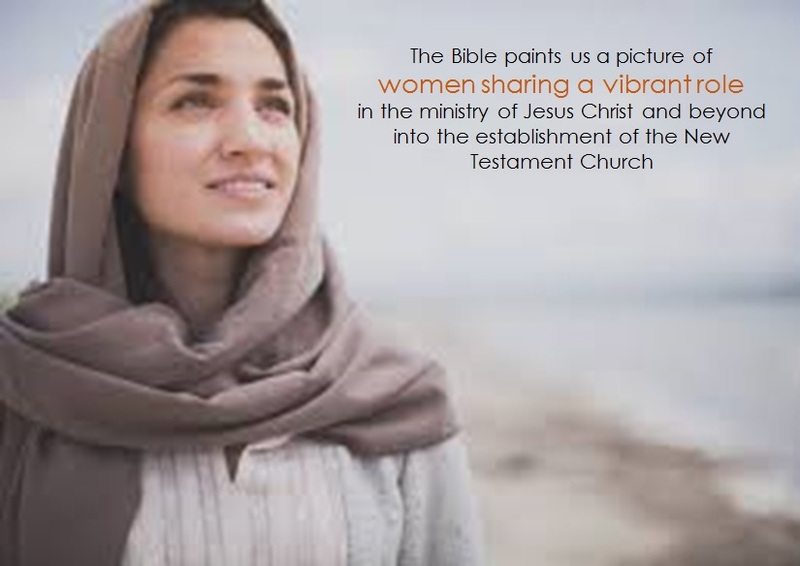 This post merely scratches the surface of the subject at hand, but I hope it can be seen that the Bible, contrary to being sexist, paints us a picture of women sharing a vibrant role in the ministry of Jesus Christ and beyond into the establishment of the New Testament church. We posted a book review of this book. Click the link above to take you right to it or search on the “Book Review” category to see a listing of all the reviews we’ve done.